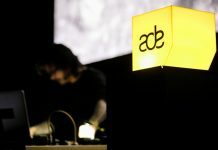 6 ADE 2018 events you don't want to miss! 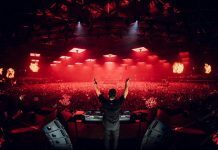 Home Edm News 6 ADE 2018 events you don’t want to miss! 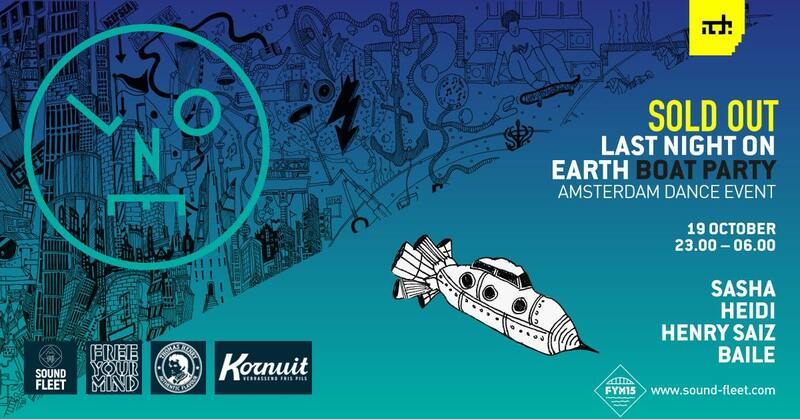 Barcelona’s The Hidden People announce their Amsterdam Dance Event debut at Hotel Arena. chapel in the centre of Amsterdam. The intimate venue will play host to just 800 devoted party goers for for 12 hours of world class dance music. Blue live, Pantha du Prince live, Space Dimension Controller live and a very special guest, from Comatonse Recordings. 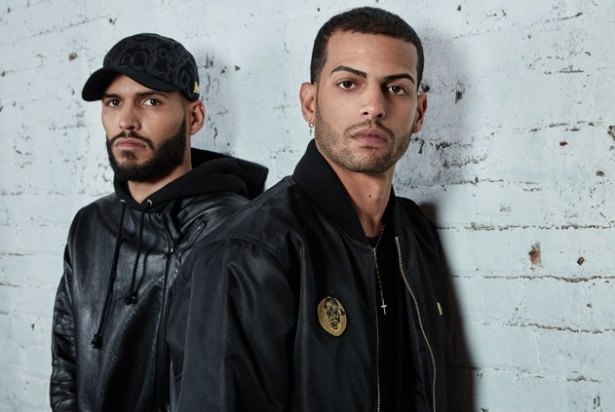 a five-hour set from hosts The Martinez Brothers , tiNI, Guti ’s live show, William Djoko and Jesse Calosso. The special guest is none other than Marco Carola. The Neapolitan techno veteran is loved for his marathon sets around the world and at his famed Music On parties in Ibiza and beyond. Nobody knows how to keep a dance floor moving quite like Carola; in combination with the Bros and their Cuttin’ Headz vibe, it promises to be one for the books. 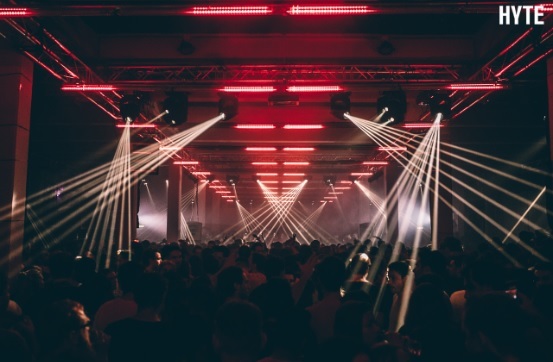 In the Club room, FUSE London will show why they have become one of the most popular names in the house and techno scene in recent years, with main man and selector supreme Enzo Siragusa joined by residents Archie Hamilton, Rossko, Seb Zito and Rich Nxt. Running through until 8AM, this party is the perfect way to draw ADE to a close. till 5AM in the morning. It doesn’t get much better than that in our humble opinion. Guy J has delivered yet again and serves his fans the celebration that they deserve! Favorite; Guy Manthzur. To warm us all up for they’re taking they are bringing along their young compatriot Khen. The man who has shook us all with his hauntingly beautiful productions since Guy Manthzur discovered him in 2011. 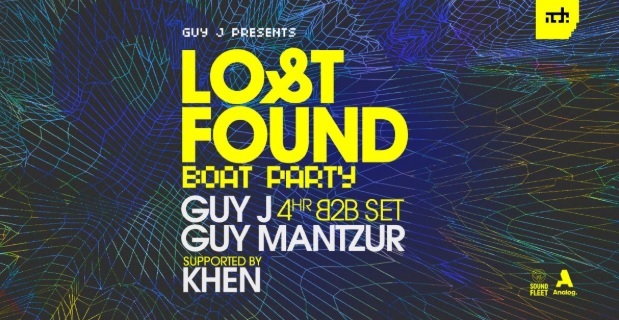 These three guys sure know what Lost & Found stands for and it’s promising to be an all-night emotional rollercoaster with these masters behind the decks. during ADE. All this sums up to be an event you can’t miss. This is promising to be an even bigger year as the previous for Sasha’s imprint Last Night On Earth. After successful events at the infamous London venue Fabric and Toronto (Canada) they are taking on the world’s biggest club event showcasing some of their finest. The location it’s being held on makes this even more special; Soundfleet is a ship cruising by Amsterdam during ADE hosting various showcases, among which LNOE. Sasha is taking a couple of the labels most high performing artist to ensure their succesfull ADE debut. everybody knows and loves him for. Getting deeper we look foward to some quality techno storytelling with Heidi coming over to shake to shake things up. Brooklyn based uprising talent BAILE is coming over to showcase one of his incredible house/downtempo sets to warm things up. We couldn’t wish for a better musical program this evening! As you may know Sasha certainly isn’t a stranger to playing boat parties and plays some of his best sets while on the water. This event will be one of the most intimate ones with the ship leaving space for only 600 lucky partygoers to enjoy the night like it was their last. This year at Ade 2018, Dockyard Festival and Mystic Garden Festival join forces for an unprecedented, 12 hour 2-in-1 festival on October 20th. 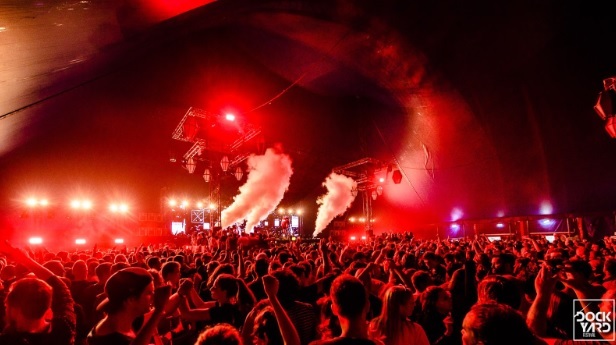 Headliners include Sven Väth, Len Faki, Paco Osuna, Apollonia, Ben Sims, Blawan, Robert Hood, Dax J, Secret Cinema, Egbert (live), Matador (live), Luigi Madonna, Skream, Enrico Sangiuliano, Dave Clarke and The Advent & Industrialyzer plus a range of essential underground brands. something brand new and immersive. After entering through the main entrance, you will be given the choice of two gates—the Golden Gates of the Mystic Garden and the portal into Dockyard, behind which you can experience all of the musical and theatrical thrills of both concepts. You can chose a space brimming with magical creatures and escapist music or thunderous, industrial dystopia, you are sure for a memorable experience. Or you can chose not to chose and wander back and forth between the two worlds. It’s up to you. Everything’s “ATE” and GEM, plus many more. splendour and will be full of colourful surprises and spectacular performances that will surpass everyone’s wildest expectations. spiritual homeland of Amsterdam Dance Event for one very special night on Friday, October 19, 2018. This annual happening is always a real showcase of HYTE’s core essentials. This outstanding music event will feature house and techno’s finest talents playing on three stages. The first announcement includes Loco Dice, Chris Liebing, Guti live, wAFF, Andrea Oliva, Adam Shelton b2b Subb-an, Benny Rodrigues, Samuel Deep and Mandana. More headliners and hot up-and-coming artists will be announced soon. 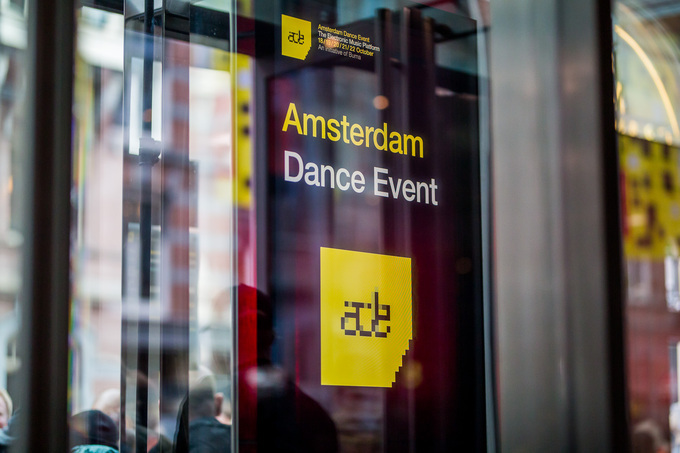 This year HYTE moves into a new venue for ADE, which is the fabulous Mediahaven. It will be turned into an electronic music lover’s heaven by the quality production HYTE is so well-known for. one-day spectacular across three stages. HYTE partnered up with Amsterdam’s finest promoter Loveland, to turn Mediahaven upside down. This means one can expect even a music loving and friendly crowd, as well as next level production and immersive party atmospheres that will keep you dancing from 22:00 until well past dawn. boss Loco Dice, who always make an impact with his bold drums. House heads crave the deep digging Dutch legend Benny Rodrigues. Watch out for a live show from the innovative Guti, whose next album is coming soon on Cuttin’ Headz, the label of The Martinez Brothers. Adam Shelton and Subb-an from One Records bring a UK flavour by teaming up for a back-to-back set, Ibiza regulars wAFF and Andrea Oliva will keep the crowds on their toes. Add in some hot emerging DJs, like Slapfunk‘s Samuel Deep as well as Belgium’s rising Mandana and you have a mouth-watering line-up that offers something for everyone. Several more big headliners, as well as some more fast-rising tastemakers will be announced soon, so watch out. This is set to be another full-on night that packs in more music, more high-quality DJs and more HYTE than ever before. See you at HYTE ADE 2018!